Going by the cards, it can say that WI may be feeling more confident as they already once defeated England during the Super 10 stage. The century made by Chris Gayle helped the team to win. The team will ask him to play such an extraordinary innings once again to clinch the title. Meanwhile, there are many players in West Indies who can make their nation win. They have shown their abilities in the last few matches. So, they are not just dependent on Chris Gayle. Simmons and Charles played very well to defeat India. However, their most of the runs have come from boundaries only. Such criticisms don’t matter for WI caption Darren Sammy. Once their batsmen come into form, then the opposition bowlers can’t do anything to stop the ball from going to boundaries. England’s bowlers like of Willey, Jordan, Rashid, and rest of the bowling lineup will have to take it as a challenge. So, Wiley and Jordan have taken seven and six wickets respectively. While, Rashid has been good with his leg spin. These three bowlers can play a significant role. The batting lineup of WI has been good so far in the World T20. Not only their batsmen, but bowlers have also done a excellent job especially Samuel Badree with whose help, but they also defeated strong teams like South Africa and Sri Lanka. During powerplays, he has been the best and brought great results. He has always bowled to a strict line and length, but will be tested against English batsmen. Having such batsmen will make the day for England if all of them worked well today too. Roy will have to give a good start which eventually will be picked up by skipper Eoin Morgan and Jos Buttler during the slog overs. However, Morgan hasn’t scored well so far and is waiting for a good inning. If he worked well today, it would result unfortunately for West Indies. England has done very well in the tournament and showed an excellent class of cricket by defeating teams like SA, SL, and NZ because of which they have reached the final. However, their fans want them to win the title to do the full job. Meanwhile, it doesn’t matter which team wins. It is sure that the best will win, but it will the first time when any win would be able to clinch the title two times. Both the teams have won the trophy one time each. England won it 2009 while WI did it in 2010. As of now, no one team has won it twice. WI vs ENG is to start at 7 pm IST or 1:30 pm GMT. In India, Star Sports 1/3/HD1/HD3 will telecast it on TV including the rest of the South Asia. Live stream will be available on StarSports.com and Hotstar. 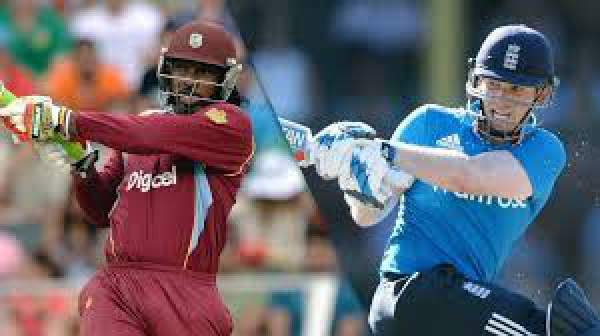 England vs West Indies will broadcast on Sky Sports 2 in the UK while the option to watch it online will be on Watch Sky Sports. The viewers living in the South Africa and Sub-Saharan Africa can catch it on SuperSport 2 while the option to stream World T20 final live is on SuperSport Live Video. The Middle East and North African viewers can watch ENG v WI on OSN Sports Cricket and OSN Play. For the audience of Australia, Fox Sports will do the job, and Foxtel will stream it live. People residing in New Zealand can catch the action on Sky Sport and Sky Go NZ. For the people residing in the US and Canada, they can refer Willow TV, Willow TV Online, and Yupp TV for West Indies vs England Live Streaming. ESPN Cricinfo, Cricbuzz, crictime, crichd, etc. will also provide the similar facilities around the world.